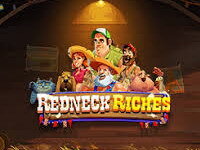 Enchanted Meadow is a 5-reel virtual slot game made by Play N Go. Whimsical fairies, delicate plants, and cute animals are used as symbols and scenery, to make you feel like you’ve stepped right into a fairy tale. The player is advised to avoid the angry wasp or the bonus round comes to a painful end! If you like fantasy slots, Enchanted Meadow offers a high level of detail and intrigue as well as multiple features that you’ll be sure to enjoy. Enchanted Meadow includes a wild symbol (the tree), a scatter symbol (the fairy queen) and two bonus symbols (the flower and the medallion). The wild symbol substitutes for any other reel symbol (except the scatter and bonus symbols) to help comprise winning combinations. Three bonus symbols anywhere on the reels triggers the Hide-and-Seek bonus where you select hiding spots on the screen to locate the hidden fairies. 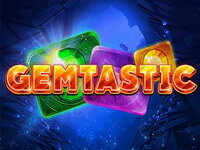 Each fairy awards you with free spins or coins. If a wasp is found in one of the locations the bonus game ends. A wild appearing on reel 3 expands to cover the entire reel. 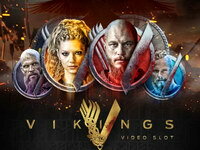 An expanded wild on reel 3 and medallions on reels 2 and 4 trigger the re-spin feature; a sequence of free spins commences during which reel 3 is covered by an expanded wild symbol that substitute for any other reel symbol (except the scatter and bonus symbols). The expanded wild remains stationary during the entire free spin sequence. 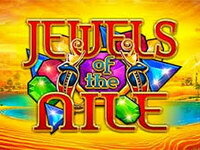 Additional free spins are awarded during the feature if medallion pieces appear on both reels 2 and 4. 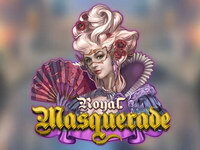 Sweet 27 is a 3-reel video slot with 27 fixed payways, spin the sweet treats to reveal their cash prizes. The game delights with sugar-coated fruit symbols, chocolate BARs and candy-striped 7s for luck. 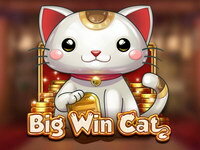 When the wild appears, it triggers 2 free spins and rolls across the reels triggering more sweet wins. 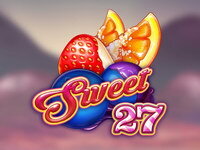 If you have a sweet tooth and great taste in slots, Sweet 27 was made just for you.